Update: I’ve been practicing yoga at home using an online platform service called Grokker. Grokker has many different program, courses, and videos. All designed and performed by yoga experts. There’s an active community of students and teachers where you can ask your questions and share your goals and struggles. This service also has cooking videos to help you prepare delicious and healthy meals after your yoga practice. I highly recommend you to try it, especially now there’s a free trial. Find more on my review here. Yoga is about connecting body and mind. This sounds more esoteric than it is. On a very practical level, connecting the body and the mind simply works by controlling the breath. The whole ancient Yogic science of Pranayama deals with the control of the life force or the vital energies within our bodies. The Sanskrit word “prana” describes our life energy and “Ayama” means to control or even to enhance something. So pranayama specifies the practice of the conscious control and regulation of the breath by breathing deeply and attentively. An ongoing practice of pranayama leads to an understanding and control of the subtle energies of the various systems of the body and can develop self-awareness. 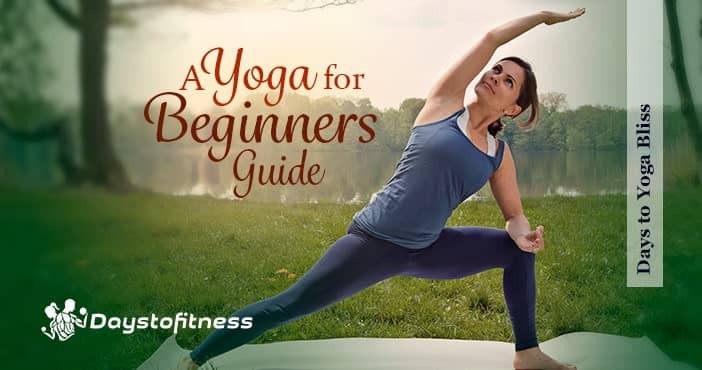 There are several pranayama techniques and they should be learned step by step. Some of the more advanced should ideally be instructed by an experienced teacher. As pranayama is very powerful, it is important not to rush your practice. Take your time and develop your practice gradually. Listen to your body and its needs – it’s your best teacher and it will always tell you if something is wrong. What often happens to many of us in our everyday life is that our breathing becomes irregular. 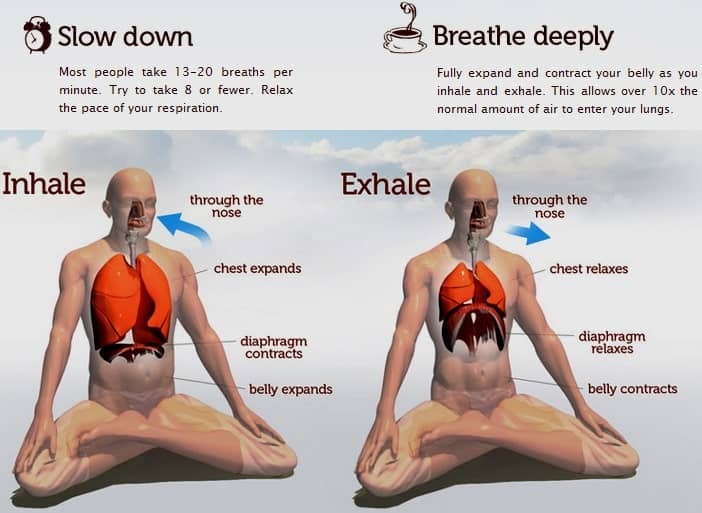 Yoga points towards the fact that the reason for the imbalance in our lives is often due to poor breathing. If we observe carefully, we find two types of irregular breathing. There is the slow and shallow breathing which can be found when we are low in energy or depressed and which causes us to take in much less. The other kind is rapid breathing, when we are angry or in a fit of rage we breathe very rapidly and in short gasps. After having figured out what irregular breathing is, let’s figure out what is regular breathing! You only need 2 things: time and a mat (I’ve shared my favourite here). Lay down on the mat; feel your back flat against the mat and let your legs and feet fall slightly apart. Place one hand at your lower belly and the other hand at your ribcage. Then draw your senses inward and focus on your breath. First, observe it as it is. Don’t judge whether it’s right or wrong; just see how it is going. Then try to balance your breath using the three-part breath method. Inhale and exhale for the same length of time. Inhale through the nose and feel the air in your nostrils. Then send the air into your lungs and feel your collarbones lifting and your rib cage expanding. From there send the air into your belly and feel it expand like a balloon. And then, very consciously, exhale the air out first from the belly and feel the belly emptying. Then release the air out of the lungs and feel your ribcage and collarbones sinking and then, finally, feel the air streaming out of your nostrils. If it helps, feel free to count a rhythm from 1 to 3 and back from 3 to 1. Do this for a couple of times, the more the better. And don’t be worried if this feels strange in the beginning. Instead enjoy feeling your body in a way you haven’t felt it before.